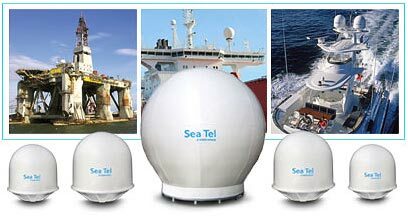 Sea Tel® specializes in Marine Stabilized Antenna Systems for Satellite Communications (two-way communications), Satellite Television-at-Sea (DBS/DTH, TV-at-Sea), Broadband-at-Sea, Voice and Data Services. Sea Tel holds sole access to key US Patents and other proprietary technology that assure you get a stable satellite signal, one you can count on even in rough seas and gale force winds. 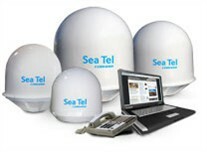 Sea Tel products combine the highest levels of performance, reliability and affordability. Service and support are provided by authorized Sea Tel agents and factory service technicians. Since eighty percent of Sea Tel's revenue is from international sales, you can find servicing agents throughout the world. Look to the Leader. Look to Sea Tel. 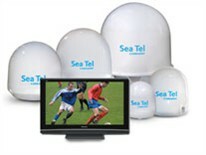 Sea Tel antennas will provide a strong signal for TV and HDTV channels on multiple receivers. The footprints are generous and service is compatible with most leading satellite providers. Voice, fax, weather, high speed data, video, internet, C-Band and Ku-Band. The most reliable systems, more stable signal levels, fewer acquisition losses, and lower bit-error rates.